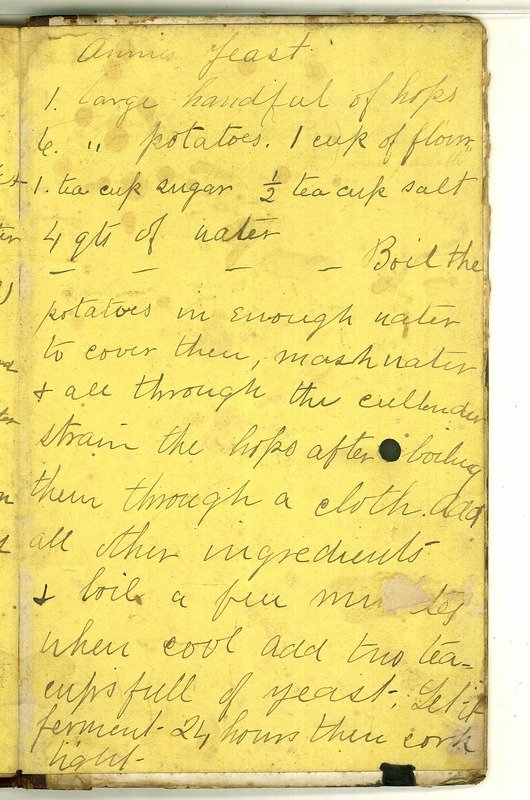 Annie's yeast 1 large handful of hops 6 " potatoes 1 cup of flour 1 tea cup sugar 1/2 tea cup salt 4 qts of water Boil the potatoes in enough water to cover them, mash water & all through the cullender strain the hops after boiling them through a cloth. Add all other ingredients & boil a few minutes when cool add two tea cups full of yeast. Let it ferment 24 hours then cork tight.